The average age of a graduating fashion designer is 21. The average age of an assembly line maker is also 21. As the peace corps of fashion our journeys bring designers and makers face to face to create empathy across fashion’s vast and disjointed supply chain. By rebuilding human connections we hope to remake today’s unhappy story of how our fashion comes to life, seeding the next generation of designers to create with intention. All the techniques Allie used in her thesis collection involved many hours of hand work to counter the fast fashion movement. To spread awareness about the issues within the fashion industry, she also produced the film short below, juxtapositioning the life of a little American girl who wants a princess dress and the little Cambodian girl who makes it for her. 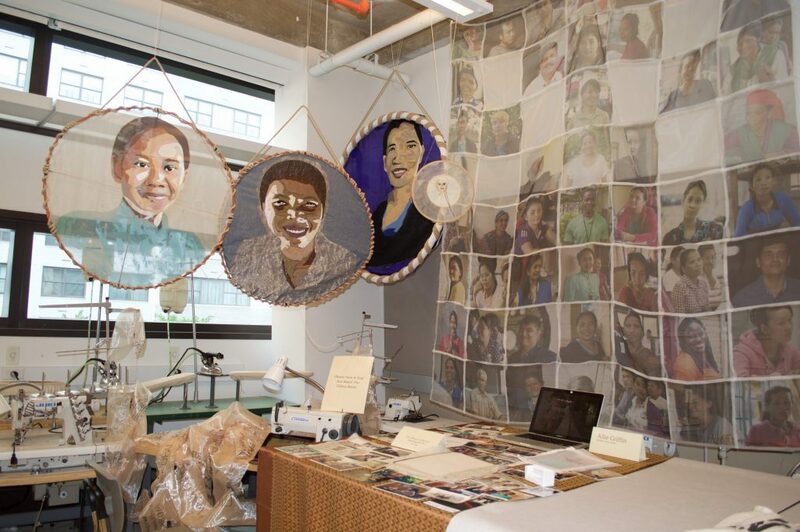 Photo: Allie meticulously embroidered portraits of the makers she met in Cambodia. The quilt she created (hanging right) unites makers from around the world. I decided that my thesis needed to bring these stories back, to change the narrative of garment factory makers by humanizing them. To show the faces behind the label, and celebrate these women as our sisters. “The trip opened my eyes to the connection between environmental and social sustainability, and the global importance of supply chain transparency. It made it that much more important for me to incorporate a transparent sourcing model in my work”. All of the clothing in her thesis collection is made from “really amazing sustainable fabrics,”– from recycled plastic bottles and even fishing nets that pollute the ocean. Seeing the human impact of each aspect of our fashion drew her to textile companies that show complete transparency of supply chain and those that provide job opportunities for people in maker communities. “My fleece starts with local plastic collection programs in Haiti and Honduras and ends with manufacturing in the USA, shedding light on sustainable practices that are often in the shadows of supply chains,” she said. As Casey transitions from student to fashion designer, she hopes to work for a brand with similar values, one that stands up for environmental and ethical rights rather than just being cool and trendy. “I am Vietnamese-American and many women in my family have worked in Vietnam’s garment industry, so I knew that my design decisions might one day directly affect my family,” Anh said. “Before Cambodia, it was very easy to fall into buying random fabrics that match my aesthetic and price point without caring much. It was hard to find things to prototype with that I could afford,” Anh said. Photo: After meeting makers first hand in Cambodia, Anh’s commitment to sourcing sustainable materials for their thesis garments was solidified. “I floundered for a bit after Cambodia. I was frustrated and confused, because I was still a student and not sure how much power I have in the fashion industry,” Anh admitted. Coming face to face with makers in Cambodia made Anh refocus their thesis to be their personal story, a way of “fashioning identity through image making. As a queer, Vietnamese child in small-town America, I realized my sense of self has always lived in multiple worlds at once; I exist in-between Vietnam and America, male and female, citizen and immigrant,” Anh said. 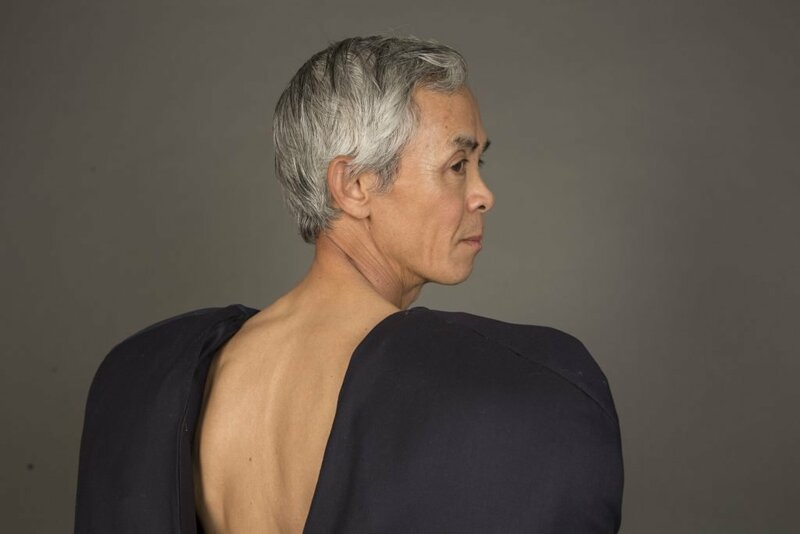 “Recognizing that there is little space for these identities to exist in mass media and entertainment, my goal was to create my own images as representation for myself.” Anh’s father modeled their thesis collection to explore the space one’s gender identity can inhabit without the restrictions of societal binaries. 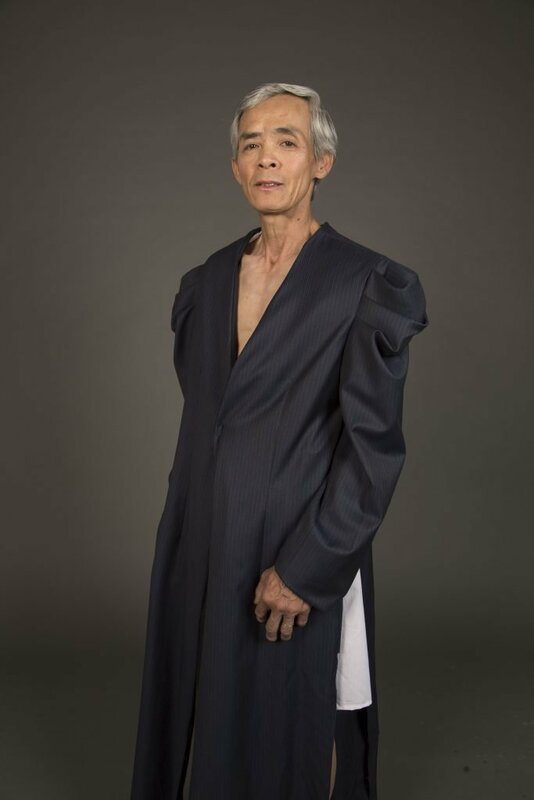 Photo: Anh’s father modeled their thesis collection to explore the space one’s gender identity can inhabit without the restrictions of societal binaries. Get to know Allie, Casey and Anh through their journey to Cambodia’s maker communities.